The Siege of Laronto by Neil Jopson is a fictional story of the destruction of a country called Laronto, and the events leading up to it. The city prepared for battle and would have to use their wits to prevent the overtaking of Laronto by the Slavodorians. Gathering all the resources and manpower they could, while hoping for assistance from Valecia, they made plans to thwart the efforts of the Slavodorians and consistently failed against the large army. Interlocked with a love story, the Siege of Laronto featured, the Baron Trosh, Mathilda, Sir Gwent, Sir Walter, Juan along with other brave souls who would fight to defend their city and lives against someone they would least expect. A story of death, dishonor, war and survival is an accurate description of The Siege of Laronto. The destruction of Palmopelle, marked the beginning of dread for the people of Laronto. As they scampered about getting together an armed force, they went into overdrive producing weapons for war. From the beginning of the story themes of fear emerged, as well as that of survival. As the Baron of Laronto gave asylum to survivors of Palmopelle, his daughter Mathilda assisted their knight; Sir Walter, and finds herself being enlightened of his sense of loss; a theme identifiable throughout the entire book. Surrounded by uncertainty and fear, families like those of Juan and Sarah found themselves being summoned from the town’s outskirts into the city. Everyone would gather there as they prepared to put up defenses against the Slavodorian army. All focus was on the impending war and how they could avert it and so Laronto faced much displacement. The city overflowed with people who had made their way into the town for refuge, but pride and jealousy would find its way into their preparations, and a fight for honor would be the distraction that would cost Laronto dearly. The tirade began. No sooner had the honor duel started had the Slavodorians set up camp on the beach by the Gracian harbour. Sir Gwent rallied his men and took to the Gracian and that is where the war unfolded. Bulsvark was the enemy and he barked orders as did Sir Gwent, sending soldiers into a battle of epic proportions. However despite all their efforts, the Slavodorians were far greater prepared for this battle and Sir Gwent and his men were captured and are now at the mercy of Malksard, the Slavodorian general. The days seemed to get shorter as the Slavodorians came closer to the city and Baron Trosh was running out of ideas. Lucian and Master Whirlwin navigated the seas on the Mermaid on a journey to Valecia for help. Sir Walter now tasked with leading the remaining soldiers and Laronto into safety as the Slavodorians drew even nearer. 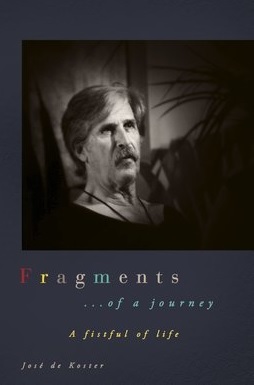 His love story faded as quickly as it started, it seemed rushed and not very engaging. Their remaining journey would encompass conquer and defeat as they stood without the help of Valecia, yet they were persistent, even as the walls closed in. In what would seem like the final hour, many brave had fallen but what seemed like the end was only the beginning. Overall the Siege of Laronto is a story that describes just that, it was an interesting read that fell short of a love story. 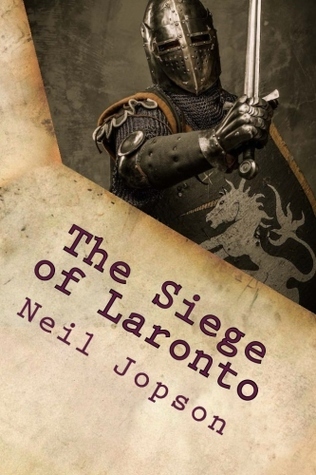 Posted on December 24, 2015, in Book Reviews, Three Stars and tagged action, adventure, amazon books, army, author, book review, books, ebooks, fantasy, fiction, fighting, honor, knights, love story, neil jopson, publishing, reading, review, the siege of laronto, war, writing. Bookmark the permalink. 1 Comment.